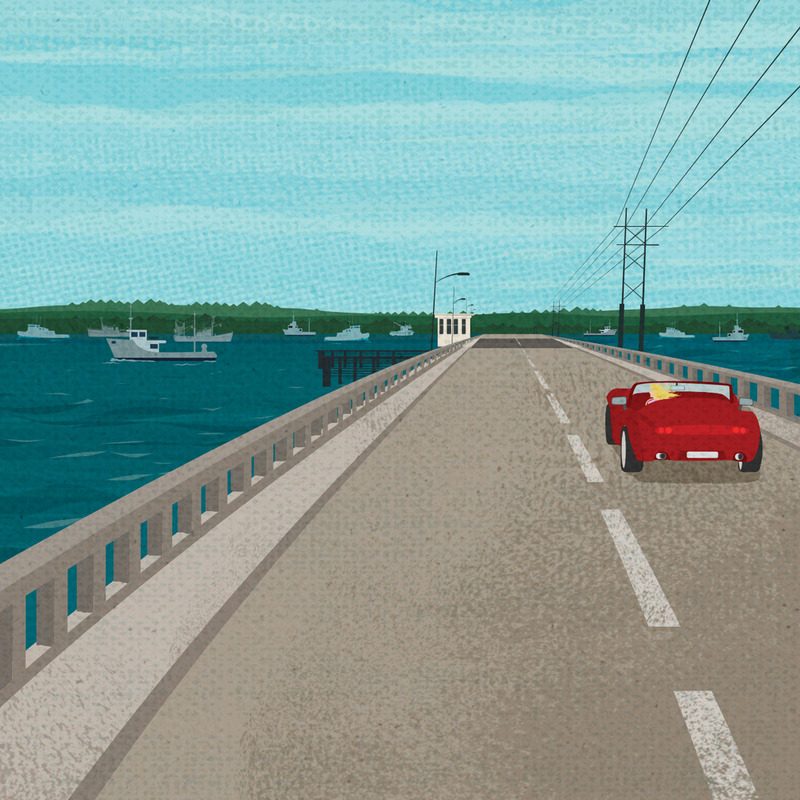 I was nineteen the first time I ever drove over the drawbridge into Beaufort, North Carolina. Good Southern girl that I was, I had arrived for a debutante party. One look, and I was absolutely smitten. The matching white rows of clapboard houses, the wild horses grazing on the Rachel Carson Reserve, the gougeres at Beaufort Grocery Company that elevated my favorite pimento cheese to a downright cultural experience. Beaufort had the look of New England and the soul of the islands, and after half an hour of walking up and down Front and Ann streets, I proclaimed that, one day, I would live in this charming town that time seemed to have forgotten. It was an absurd thing to say. But as luck or fate would have it, several years later, I married a boy who spent his summers in Atlantic Beach, right over the bridge from Beaufort. He had a soft spot for the quirky, historic town too, so we pledged to spend our summers there and bought a ramshackle house that had been closed up for more than ten years. The day we signed the papers, family and friends said that this house was our worst idea. I just looked out the window at the sailboats coming into the harbor and the red double-decker bus carrying tourists past my bedroom. It would take at least two years to bring the place back to life. Maybe it was crazy. But, then again, the best things usually are. Continuing my streak of impractical decisions, I indulged an idea I had for a novel. I initially resisted it, but realized that if I ever wanted a good night’s sleep again, I would have to get these characters out of my head and onto paper. That first novel, Dear Carolina, was released by Penguin Random House on May 5, 2015—two months before my thirtieth birthday. While in my hometown of Salisbury, North Carolina, for a launch party for that first book tour, I was helping my mom clean out some of the college things that still lived under my bed. I pulled out an old notebook and discovered an assignment from my favorite professor. It was, essentially, a list of pipe dreams. I had two. One was to write a novel. The second was to buy a house in Beaufort, which seemed even less attainable, if that was possible. My target date? My thirtieth birthday, which, at the time, was the oldest I could ever imagine being. I had forgotten all about those dreams and yet, somehow, they had come true. I had so many chapters left to write in my life story, so many things to accomplish. But I had written that book. And I had bought that house. And I knew in that moment that if those two absurdly unlikely things had happened, surely the rest of life would fall into place. I travel a lot as an author now. I’ve spent these past two years on tours for my books about Peachtree Bluff, a fictional town that is not surprisingly similar to Beaufort. When I return to Beaufort, which became our family’s full-time home last year, I usually find that something has changed. A new restaurant opened. An old landmark restored. But one thing stays the same: Every time I drive over that bridge, it’s like I’m seeing Beaufort for the first time. And, for just a moment, I get to be nineteen all over again. Kristy Woodson Harvey is the author of four novels, including Slightly South of Simple and The Secret to Southern Charm. She blogs daily with her mom at Design Chic, and her writing has appeared in numerous publications and websites, including Southern Living, Traditional Home, Parade, USA Today, Domino, Our State, and O. Henry. She lives with her husband and son in Beaufort, where she is writing her next novel.